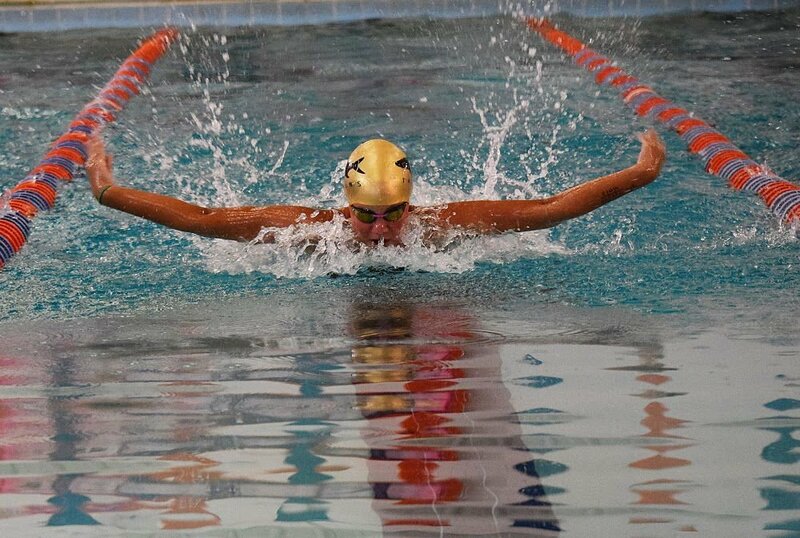 Pinewood Country Club's Eli Leake swims breaststroke in the St. Tammany Swim League A Meet on July 7. Tanglewood's Colleen Martin swims butterfly in the St. Tammany Swim League A Meet on July 7. Cross Gates' Maddie Byrd is all smiles after setting a St. Tammany Swim League record in the Girls 15-18 Year Old 50-yard backstroke. Byrd posted a time of 27.75 seconds, which shattered an 18-year old league mark by .78 of a second. 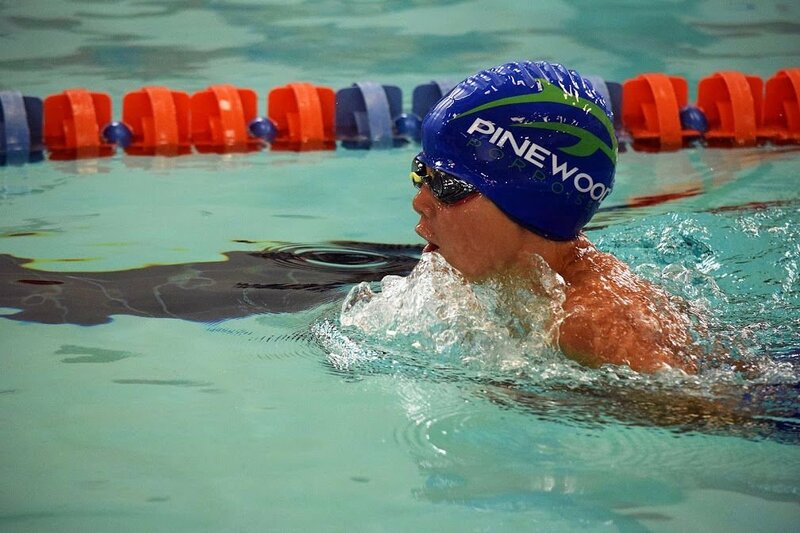 The summer swim teams from Pinewood Country Club and St. Bernard Swim Club won their respective divisions in the St. Tammany Swim League A Meet held July 7 in St. Bernard Parish. Pinewood scored 2,498 points in the large-team division. Lakeside was second with 1,433.5 points and Picayune third with 501 points. Host St. Bernard won the small-team division with 831 points. Cross Gates was second with 605.5 points and Tanglewood third with 260. Ages 6 and under: first, Pinewood, 1:45.99. Ages 7-8: first, Pinewood, 1:26.72; second, St. Bernard, 1:27.10; third, Picayune, 1:29.30. Ages 9-10: first, Pinewood, 1:03.37; second, Pinewood, 1:07.79; third, Lakeside, 1:07.86. Ages 6 and under: first, Pinewood, 2:15.85. Ages 7-8: first, Lakeside, 1:18.44; second, Pinewood, 1:28.03; third, Pinewood, 1:34.13. Ages 9-10: first, Pinewood, 1:03.69; second, Pinewood, 1:10.78; third, Lakeside, 1:11.58.